The “Chennai” was previously known as “Madras” is the capital city of the Indian state of Tamil Nadu. The city is host to the 3rd largest expatriate population in India after Mumbai (Bombay) and Delhi. 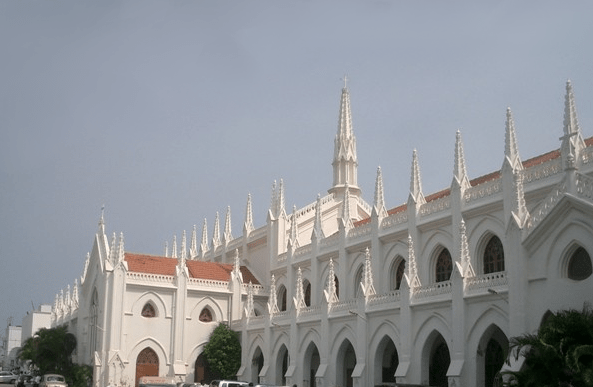 Chennai is home to many museums, galleries and other institutes, many of which are free of admission charges and are major tourist attractios as well plauing a research role. 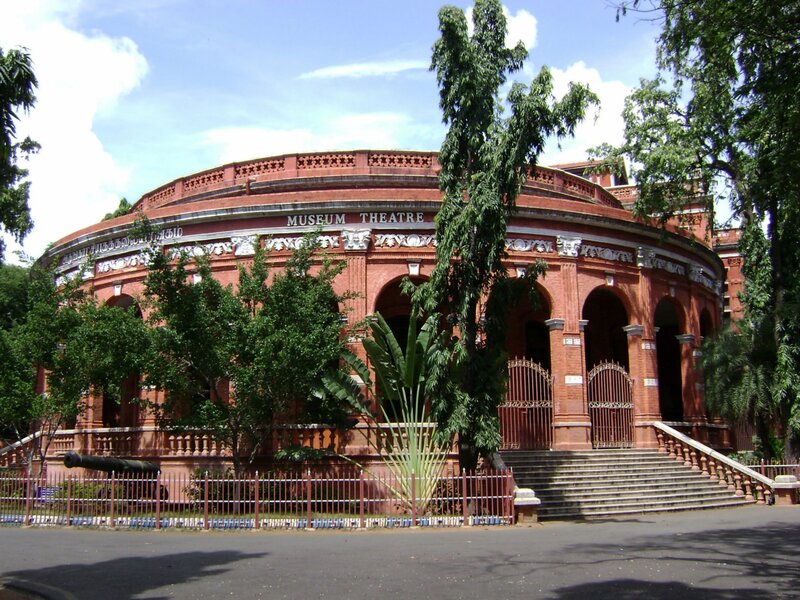 The Chennai city is also an host to one of the oldest Museum and Art Gallery in the country Government Museum, Chennai and The National Art Gallery (Chennai) established in the 18th century. So this article will advise you the Places to visit in Chennai = Chennai tourist places. Chennai, in the state of Tamil Nadu (and formerly known as Madras) was long considered the gateway to popular South Indian Tourist Destinations like Kerala but was overlooked as an attraction itself. It is however, a national cultural capital and home to several dance and music schools like Kalakshetra for dance and the Music Academy for carnatic South Indian Music. Fresh buzz makes this city especially enticing, several major hotels including the Park Hyatt have recently opened, and there is a slew of new and trendy clubs, boutiques and restaurants, including Ottimo for excellent pizzas. The perfect places of discovering Chennai is Fort St. George, the oldest surviving British Construction in India. At the northern end of Marina, the fort was once the headquarters of the east India Company. Today it houses the sectariat of the Tamil Nadu Government and legislative Assembly. Much of this fort looks almost as it did when Robert clive, Pitt, Hastings and Wellesly resided and worked here. It is top tourist places to visit in Chennai. 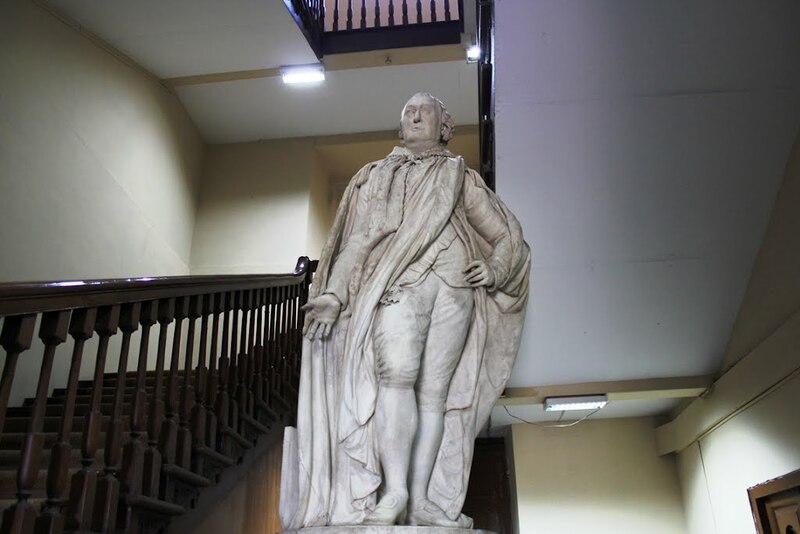 The Statue of Cornwallis will greet as you enter the Fort Museum, Chennai. Inside is an interesting collection of souvenirs from the British Raj. To the south-east of the museum is the tallest flagpole in the country standing at a height of 45.7 meter! 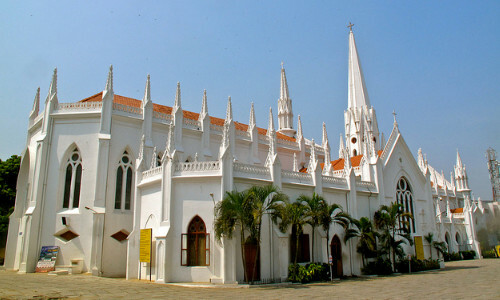 Within the fort is the oldest protestant church in Asia and the second oldest British Building in India, St. Mary’s Church. The inside of the Church has many paintings, records and registers, each with a story to tell: Elihu Yale, after whom the Yale University, USA is named was married here. Robert Clive and Margaret Maskelyne tied the nuptial knot at this church only. The imperial Clive house was where Robert Clive one of the Carnatic War heroes resided with his beautiful wife. The biggest judicial buildings in the world after the courts of London is the red Indo-Saracenic High Court built in 1982. It is among top tourist places to visit in Chennai, Tamil Nadu. 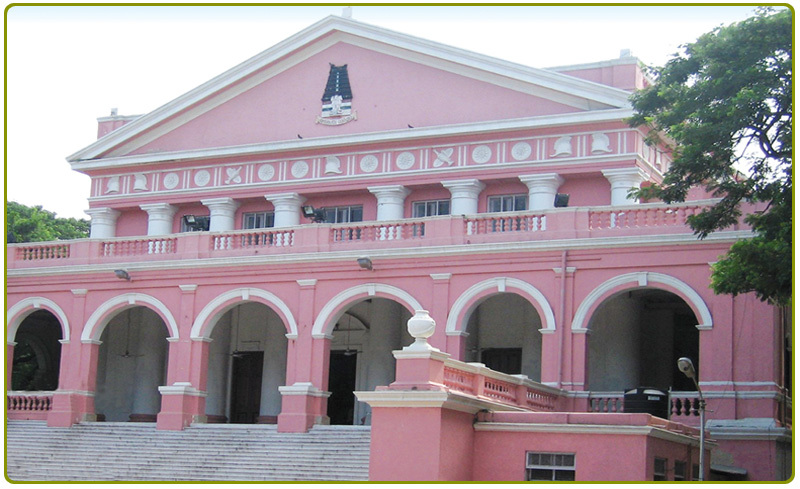 Inspired by the classical Greek and Roman Style of architecture is the Rajaji Hall. 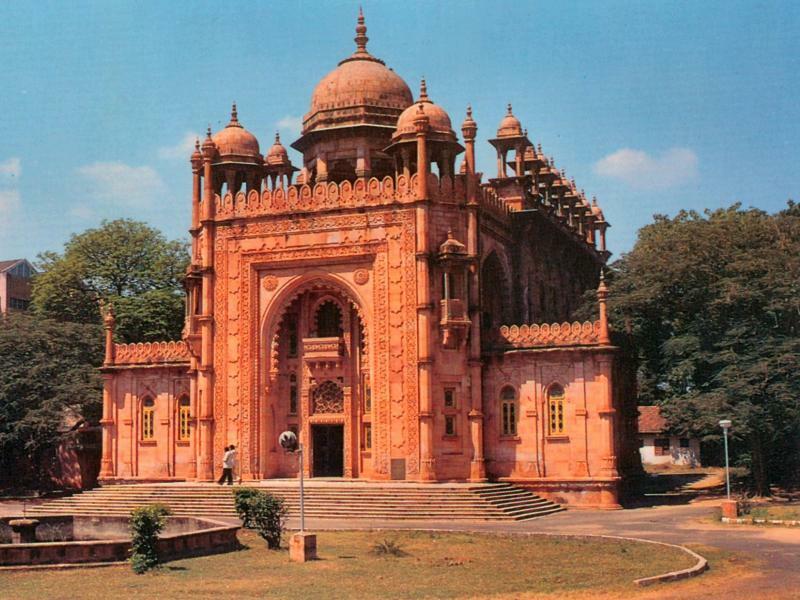 It was built by Edward Clive to commemorate the victorious battle fought by the English against Tipu Sultan. It served as the Banquet Hall to the Governor’s residence before it was renamed. Today it is ofen the venue for important public function. Marina beach is the longest beach in India. 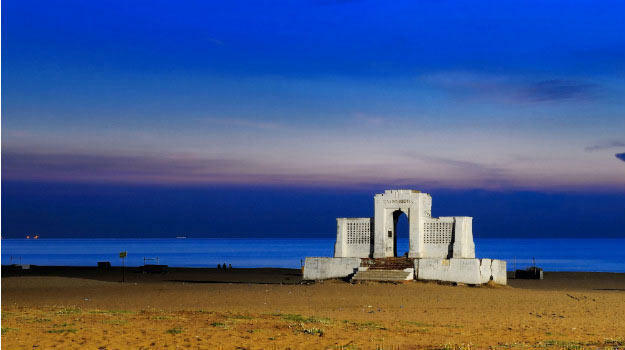 The sprawling Marina Beach is the second largest in the world and stretches over 13 kms. As you take a beautiful stroll along the beach you will encounter Anna Memorial dedicated to C.N. Annadurai, the chief minister responsible for reshaping the social and political structure of Tamil Nadu. M.G. Ramachandran was a favorite of the masses and the first film star to become the chief minister of a state in India. His memorial lies next to the Anna Memorial. It is among top tourist places to visit in Chennai. Visit the Aquarium or take a stroll in Governor Grant-Duff’s enchanting gardens and drives enhanced by sculptures and lights, across the Marina. San Thoma Basilica to the south of the Marina is named after the legendary Thomas Didymus, the apostle who doubted. He came here in 52 AD and was martyred in 78 AD. This Roman Catholic Church houses the remains of the saint and was built in 1504 and reconstructed in 1893 in the neo-Gothic style. The beautiful stained-glass windows, tall steeple and ornate interiors tell stories of Doubting Thomas and the last days of Jesus Christ. It is among top tourist places to visit in Chennai. 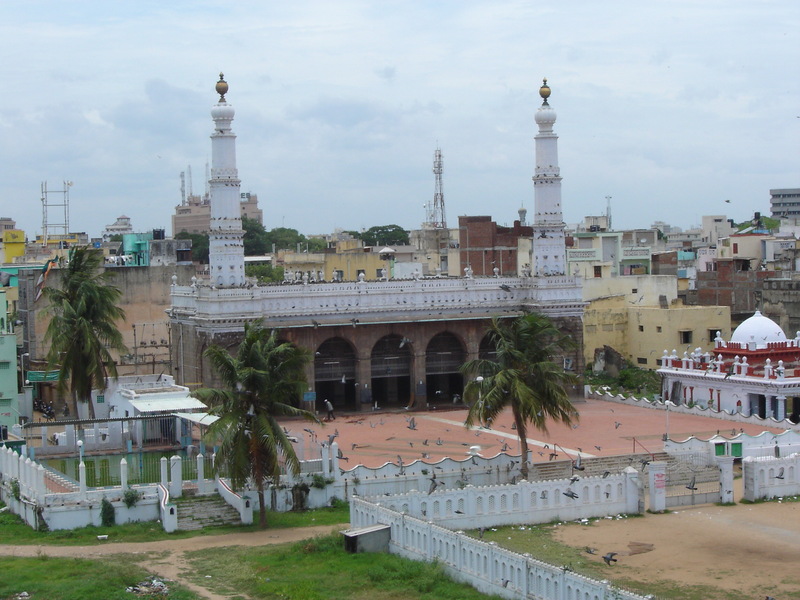 The nawab of the Carnatic presented Chennai with the beautiful Wallajah Mosque 200 years ago. The nearby Amir Mahal is the residence of the Nawabs. 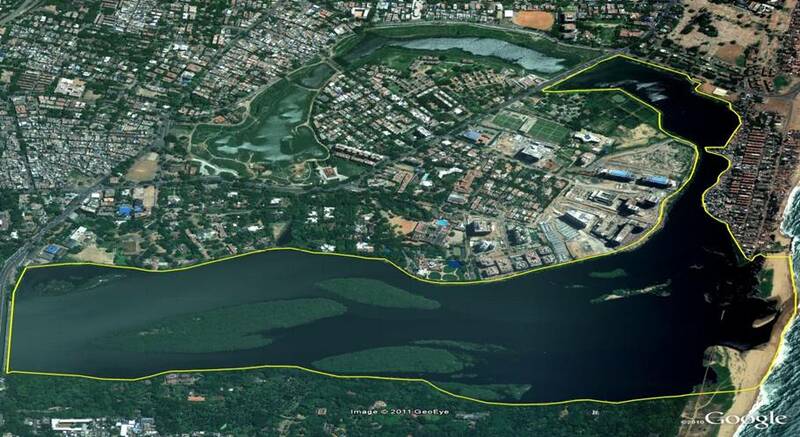 The Adyar Estuary, a sheltered area of the Adyar Rivar with islands and woods is home to fauna and migratory birds. On the banks of the river is the Theosophical Society founded by Colonel Olcott and Madam Blavastsky at New York, USA in 1877 which shifted its headquarter to Adyar, Chennai in 1882. Set amidst hundreds of acres of lush gardens and elegant buildings, the society is dedicated to the preservation and interaction of all world faiths. The internationally acclaimed 95 year old library has an invaluable collection of books and rare manuscripts. Elliot’s beach on the Coromandel shore was once reserved for the Shahibs of Colonial Madras. On its shore rests the Ashtalakshmi Temple with two splendid shrines dedicated to Goddess Mahalaxmi. At the end of the beach is the famous Velankanni Church which attracts any devotees all through the year. It is among top tourist places to visit in Chennai. At Kottupuram between Adyar and Guindy is the Birla Planetarium. 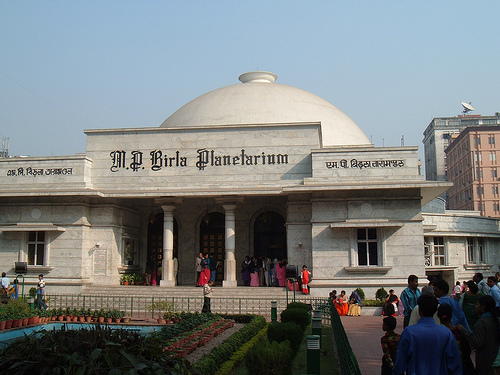 With a completely computerised projector, the planetarium offers audio-visual programmes on various astronomical themes and is one of the best in the country. A visit to the nearby Periyar Science and Technology Museum can be informative. In the heart of the city near the Raj Bhavan is the Guindy National Park. 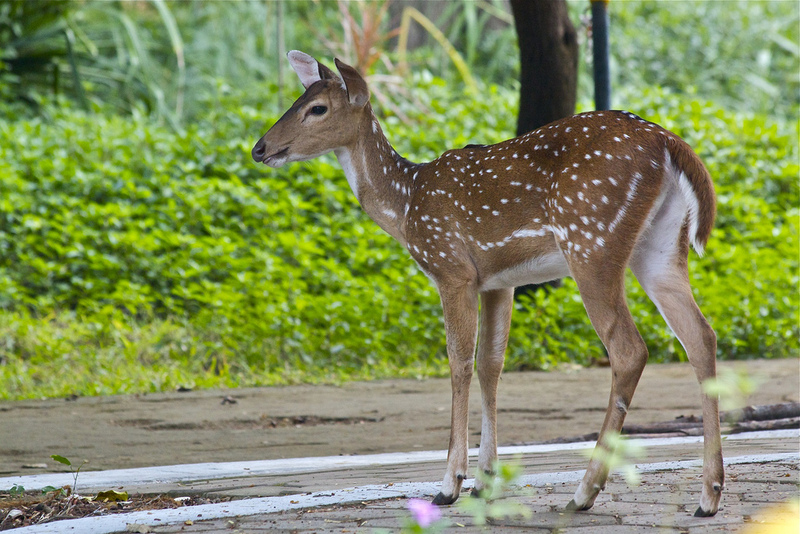 This park is home to the endangered spotted deer, white buck, bonnet monkey, small Indian civet cat and other wildlife. A wide variety of birds too flock here. The highlight of the park is the rare Indian Antelope or Black Buck found only in India. It is among top tourist places to visit in Chennai. 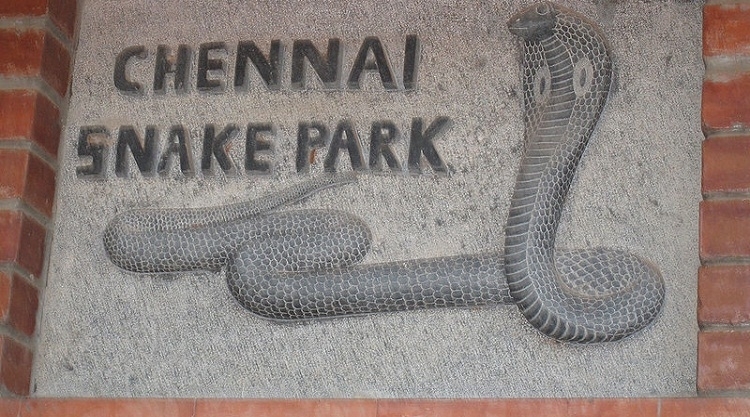 The snake park founded by Romulus Whittacker has a collection of cobras, kraits and pythons. In the nearby children’s park are also dedicated to Gandhiji, Rajaji and Kamaraj. It is among top tourist attractions in Chennai. The government museum on Pantheon Road once belonged to the Pantheon committee formed by important British citizens, responsible for improving the English social life in Chennai, The archaeological section has beautiful antiques from the Chola, Vijayanagar, Chalukya and Hoysala periods and a rare collection of Buddhist sculptures from Amravati. Part of the fascinating bronze xollection, are the cosmic dance of Lord Shiva- Natraj, Goddess Durga and The Elephant God- Ganesha, all from the Chola period. The government museum complex includes an Art Gallery, department of Natural History, a Museum Theater and the Connemara Public Library. This library is one of the four national libraries of India where a copy of every published book is sent. Ardhanariswara , an incarnation of Lord Shiva with one child bearing hip and breast is the show stealer. The National Art Gallery houses masterpieces of Indian art from the fascinating past and the exciting present. The National Art Gallery was built during the celebration of Queen Victoria’s Golden Jubilee in Indo-Saracenic style, designed by architect Henry Irwin. The Gallery has been identified as a Heritage site by the CMDA. As of 2002 the gallery has been closed for tourists, due to several building flaws and structural instability, which triggered severe criticism from art critics. However, several proposals for renovation are underway. Enjoy an elephant ride or a lion safari at the Arignar Anna Zoological Park. You can observe animals in their natural habitat or take a walk through the pre-historic animal park. 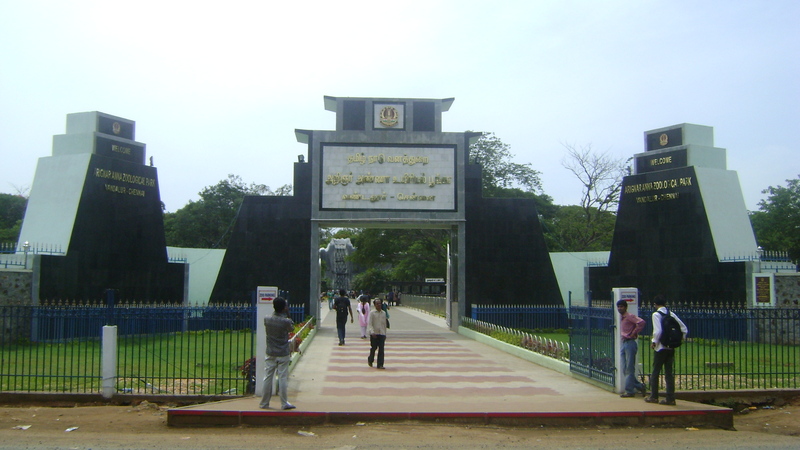 Arignar Anna Zoological Park (abbreviated AAZP), also known as the Vandalur Zoo, is a zoological garden located in Vandalur, a suburb in the southwestern part of Chennai, Tamil Nadu, about 31 kilometres (19 mi) from the city centre and 15 kilometres (9.3 mi) from Chennai Airport.